A young assistant DA takes on an elusive serial killer and a flawed justice system in this gritty debut legal thriller, the first in a new series. Assistant DA Matt Jamison is called to a meticulously staged crime scene on a canal bank in rural Central California — the latest in a series of murders that have killed three young women in one month. A serial killer is on the loose and adept at hiding his tracks. And before the murderer can be brought to justice, Jamison will lose his illusions about what justice means. As a fourth victim is abducted and investigators race against time, Jamison must cope with a sophisticated and evasive killer, a politically-minded sheriff eager to claim credit and spread blame, and mounting pressure to resolve a high-profile case. The stakes get higher when Jamison brings a shaky prosecution to court and must manage an arrogant defense attorney, a smoothly lying defendant and a fragile witness. And while Jamison struggles to convict a murderer, events outside his control will test his trust in the justice system and the fallible human beings who operate it. Written by a former investigator, prosecutor and judge who intimately knows the world of attorneys, detectives and men who kill, Fractured Justice crackles with authenticity, realistically depicting the lives of the all-too-human people who enforce the law and the messy compromises they make in their work. 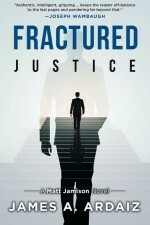 Featuring an intricate plot, a chillingly sophisticated villain, a dogged and determined protagonist and a clear-eyed assessment of how the justice system operates, Fractured Justice is a gripping, fast-paced and coldly realistic thriller — and a stunning debut novel by a remarkable new mystery writer. Audience: Legal thriller and mystery readers. About the Author: James A. Ardaiz is a former prosecutor, judge and Presiding Justice of the California Fifth District Court of Appeal. Ardaiz’s first book was Hands Through Stone , a nonfiction account of his investigation and prosecution of murderer Clarence Ray Allen, the last man executed by the State of California. 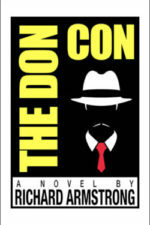 Audience: Crime thriller / mystery readers, humor readers and pop culture fans.